The main responsibilities of the Board of Registration of Professional Engineers and Professional Land Surveyors are to monitor, establish and enforce qualifying standards for the engineering and land surveying professions. The Board is continuously working to guarantee that the people practicing in these professions are highly qualified and are adequately competent to practice and are not endangering the life, health, safety and welfare of the people of Massachussetts. 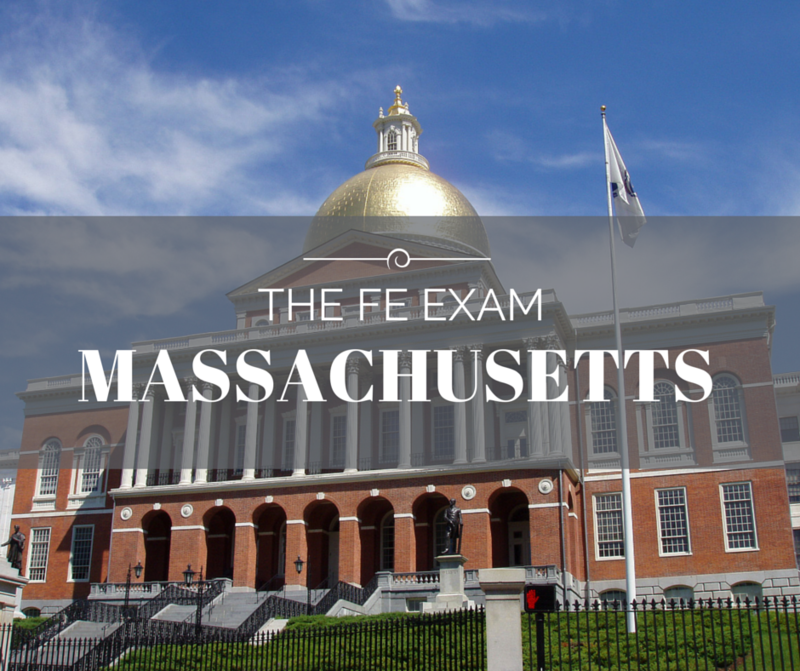 The Massachussetts Board of Registration of Professional Engineers and Professional Land Surveyors will include important information for the FE Exam Dates, FE Exam Costs, and locations for local FE Exam Reviews. What educational programs are accepted for taking the Engineer in Training exam? Any EAC/ABET, TAC/ABET, ASAC/ABET or Non-EAC/ABET accredited engineering program. However, further education and/or experience may be required prior to taking the PE exam if you graduate from a program other than EAC/ABET. See the Boards website for details. Have further questions? Check the Frequently Asked Questions or visit www.mass.gov/dpl/en to get the most up to date information.